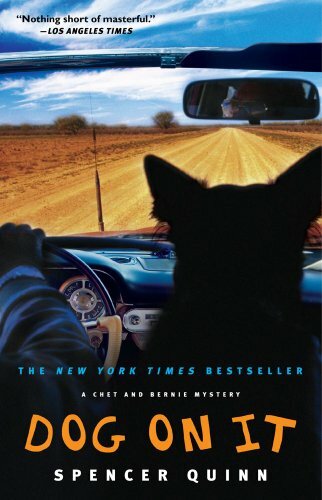 Order ‘Dog on It: A Chet and Bernie Mystery (Chet and Bernie Mysteries),’ available from Amazon.com by clicking on the book cover above! Dogs that can express themselves in a language we can all understand are nothing new. Remember the movie Cats & Dogs? One dog had the voice of Tobey McGuire, another the sonorous tones of Alec Baldwin. But how many dogs have written books about their adventures? Chet also has some problems remembering details a short time after an event occurs, but once he catches a scent the second time, the large incisors are known around the desert to take a big bite out of crime. And criminals. Order ‘Paw and Order’ by Spencer Quinn, available in print or ebook from Amazon.com by clicking on the book cover above!